Pakistan Institute of Medical Sciences Islamabad has announced 10 Latest Jobs in Daily Jang Newspaper dated 18th March 2018. 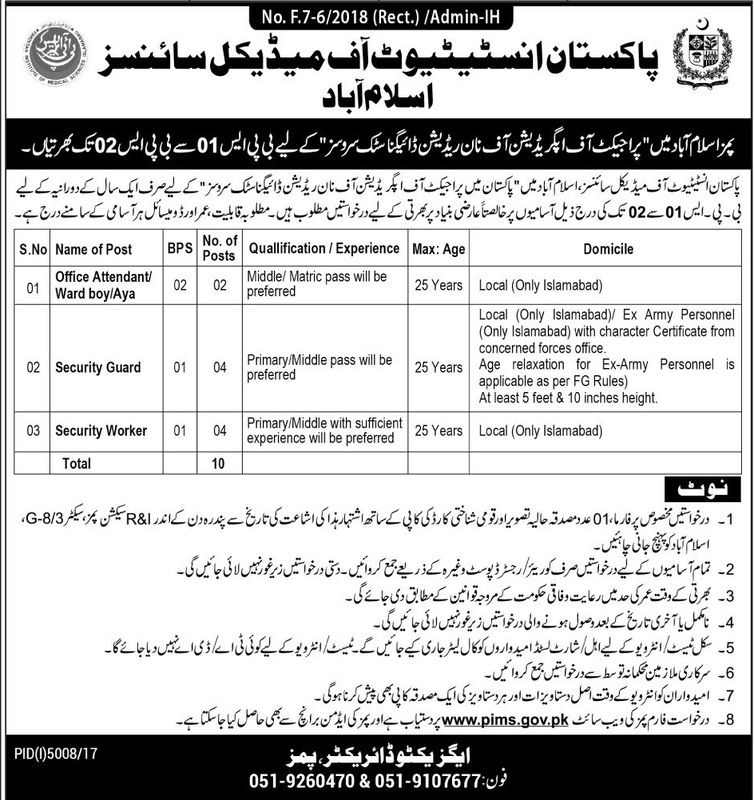 Candidates can apply for PIMS Hospital Islamabad Jobs 2018 against the title of Office Attendant/Ward Boy/Aya, Security Guard, and Security Worker. Application form for above said posts if available at www.pims.gov.pk and it can be obtained from PIMS Admin Branch during Office timing. Candidates are directed to send their application through registered Courier other than by hand submitted applications shall not be entertained. Pakistan Institute of Medical Sciences (PIMS) 10 Jobs Daily Jang Newspaper 18 March 2018.